Carpet layers, flooring installers, timber, vinyl & bamboo flooring installers wanted in Canberra and surrounding regions. Are you a qualified carpet layer or timber, bamboo or vinyl flooring layer/contractor seeking work in the Canberra ACT and greater region? Carpet Factory is always on the lookout tor new talented flooring contractors to have on our books. Bamboo floor layers and installations. Wall to Wall carpet layers. Vinyl and timber look vinyl plank layers. If you are competent skilled at flooring installations or carpet laying, why not contact Carpet Factory about becoming part of our flooring contractor team. Our layers and specilast flooring installers love working for Carpet Factory. Because, unlike almost every other store, we plan out and cut our jobs for least amount of joins and most professional job. No more hacking at odds and ends and badly planned jobs on the customers front lawn. 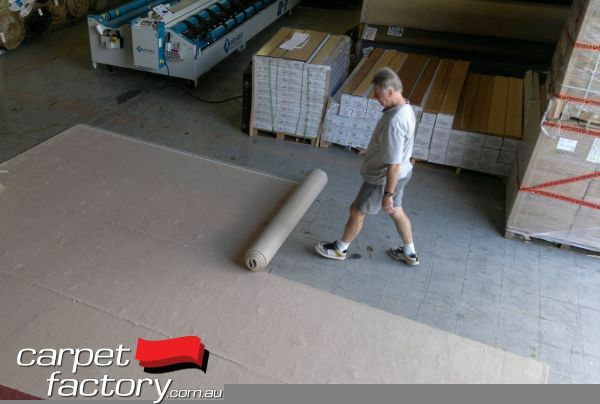 At Carpet Factory, we believe that the Installation job starts well before the carpet leaves the warehouse. We take pride in eliminating as many cross joins and unnecessary difficulties as possible, where possible. That way our customers get the best possible installation possible, and our layers can achieve their best work easily and efficiently. Carpet Factory always pre-plan and shape our jobs for the ultimate results. Are you sick and tired of hacking and slashing badly planned jobs by lazy retaillers or inexperienced sales staff? If you are qualified and proficient in your flooring trade, why not enqiuire about contract carpet laying and/or flooring installation work from Carpet Factory. We plan our work better than the rest, so you can take pride in the ultimate results. Contact Anton on 62805339 weekdays or email us here with your phone and contact details.